Work for Adobe PDF Pack? Learning about Adobe PDF Pack? "my best digital experience extraordinary tool. Easy to use, fast and practical"
I could say that the prices of some tools are a bit disgusting, since there are some programs that tend to be a bit expensive and there is seldom any promotion.
" 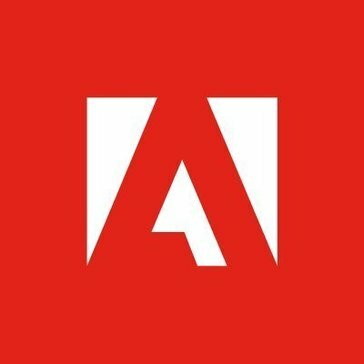 The best of the market"
Adobe products are very good in my favorites. My students a simple and fast way. It allows me to convert my files into the less heavy formats of the installation for my students, as well as the information that is needed for my classes and to carry them out all the time on their smartphones for continuous practice. Friend user, if you like the applications that offer you very little, very fast, practical and simple, without a doubt, this is a journey to convert your files and compartments safely. "Excellent tool to convert my files and compratirlos"
I really enjoy working with this tool since it allows me to convert my Excel, Powerpoint, Word documents and it is a complete package with which I can combine, create documents and send them online in a very easy and fast way. What I like the least is that I can not edit PDF documents because I have to implement Acrobat DC, but I have done very well with this tool and I have nothing negative to contribute. They can use this tool because it is very easy to use and it allows them to convert their documents so that they can compile them in a fast and safe way. It has allowed me to adapt documents that are in other types of documents and I can convert them to make them less heavy and send them online in a safe and secure way. "Great resource for work related documents"
The documents that the PDF Pack creates are always uniform; you know your recipient is going to see a polished, uniform document. It eliminates the worry of your work looking sloppy and unfinished. You cannot edit PDF files with the PDF pack, you need Acrobat DC in order to do that. I wish there was a bundle or different way to make it more convenient to change the document in the software itself. I'm able to ensure that my documents are legible and uniform. The PDF Pack allows me to sign and fill out forms, without the hassle of printing and scanning it back to the sender. It also is convenient when I have to put different files into the same document, I can combine my PDF documents into one cohesive place. I like the editable work space within Adobe PDF. It makes it easy to edit the pages as well as the page contents. There are an array of tools to use and each helps you make your project your own. I especially like that you can draw, add text, and edit existing items within the PDF that you are working on. Overall I think it is a good product! Though there are a variety of tools, I wish that there were more included to allow for more customization. I also would like if there was a way to search for tools within the interactive editing space. Sometimes it is hard to find the tools because the table of contents within the tools tab is a bit weird when it comes to the titles used to describe which tools are in which area. My coworkers sometimes have issues using the pack, but I think that is mostly from lack of use. If you mess around with the different tools included within the pack, they are relatively straight forward and easy to learn. The main issue that I have had with the pack is that it is sometimes hard to find tools within the table of contents. This can be solved by using the product more to become more familiar with its inter workings. I use Adobe PDF Pack to create and merge figures together to easily send to clients. "Makes forms and editing a breeze"
I always thought Adobe was for PDF files. Once I started using it at work to both create and send forms to and from our clients I saw all of the possibilities. I like how versatile this software is. It seemed to be harder to use than it should be until you get familiar. I had to spend some time "playing" with the software before I felt comfortable with it and I was able to complete a task rather quickly and without trouble. I would recommend this software, there are so many uses for it. Once you get in and start using it you realize that you can use it for more than you intended it for. We needed to make multiple forms for a long list of clients to sign so that we could submit them for their continuing education classes. We were able to generate personalized forms in just a few minutes. We were able to edit images and documents in one program to create brochures for different product lines. "Adequate PDF reader; in fact, the only I use." Honestly, I have never had to use any other PDF reader than Adobe. It has always done the job. They might have a bit of a monopoly on the service, or it is possible that Adobe just came before other PDF readers so I don't know others. So I have no competition to compare it to, but don't count that as bad per se. It simply works well in saving files, delivering files, converting files, and reading files in a fairly small easily emailed format. I have premium version for this, and this amazing. Has made my life so mcuh easier as I work a lot documents that are pdf-ed. Documents editing, proofing, adding commetns, changing, editing scanned docs. "Adobe PDF Pack is the ultimate PDF Creating, merging and editing tool"
This app has everything you could possibly need in order to manage, create, edit, share attractive, nice and visually engaging pdf documents in your pc, or in any other devices. As a teacher, I find it very handy to be able to check and edit the dozens of pdf documents I usually send to my students. I totally recommend this tool to any professional teacher or business person. I like how it has everything you need to make a document. I dislike how you have to download the software to get it. Too many updates. This pack provides businesses and individuals with everything they need to complete files. You can benefit from it by converting, combining, signing, and sharing files easily and smoothly through their online tools. "PDF's are completely editable "
It's easy to compose your own PDF based on other documents, I noticed that it helped saving paper and ink since we didn't have to print and scan again documents just to fill something or add a signature. I wish there was a way to transform any pdf file to doc. Consider how much you're going to use it. It is really worth it if you use it all the time and need to save time. But there are other options available. Fill documents with dates, signatures, check marks, unite 2 or more pdfs, delete pages, etc. Thissoftware helps saving a lot of time. "Amazing one 4 all tool to get from a word to pdf"
easy signing ability, verifiable signature, and trackable. I also like being able to lock the documents. Sometimes it is difficult to sign certain documents. It is easy to use and broadly used, and is nice that adobe reader is free to all for public records. Verifying signatures on records and documents for electronic filing. Easy enough for reading PDFs and saving scanned docs. Not intuitive to an ametuer to make major edits. Being able to scan and send docs to coworkers in a timely manner. The benefit is in its easy installation. Great for editing documents and document conversion. * We monitor all Adobe PDF Pack reviews to prevent fraudulent reviews and keep review quality high. We do not post reviews by company employees or direct competitors. Validated reviews require the user to submit a screenshot of the product containing their user ID, in order to verify a user is an actual user of the product. Hi there! Are you looking to implement a solution like Adobe PDF Pack?